The debtor filing for Chapter 13 bankruptcy must provide details to the bankruptcy court revealing his income, expenses, property and debt. Then, the debtor must create a workable payment plan covering three to five years and present the plan to the court within 14 days of filing the bankruptcy petition. If the debtor’s monthly income is below the median income in his state, the plan will cover three years unless the court approves a longer plan. If the debtor’s monthly income is greater than the state median, the payment plan generally is established for five years. Debts are classified as priority, secured or unsecured. Priority debts, such as taxes and costs related to the bankruptcy proceeding, must be paid in full. Debts secured by collateral are “secured” debts, while all other debts are “unsecured.” Unsecured debts may or may not be paid in full at the end of the repayment plan. Whether an unsecured debt is paid will depend on the debtor’s disposable monthly income, the value of his nonexempt property and the length of his repayment plan. Under Chapter 13, the debtor does not make payments directly to creditors and has no contact with creditors during the payment plan period. Instead, the debtor makes payments to a bankruptcy trustee, who then disburses the money to the creditors on the debtor's behalf. In North Carolina and Alabama, trustee duties are performed by bankruptcy administrators rather than trustees. While the payment plan is in effect, most creditors cannot pursue collection or initiate new collection efforts. This stay is automatic and doesn’t require a judge's order. It can even protect co-debtors who have co-signed on consumer debt with the debtor who files for Chapter 13 bankruptcy. The automatic stay does not apply to certain types of actions, such as child support collections. Under Chapter 13, a debtor must complete credit counseling before filing a bankruptcy petition with the court, which may help the debtor create a debt repayment plan. Counseling agencies must be approved by the Department of Justice. Before the bankruptcy case concludes, the debtor must complete a course on budget counseling, called debtor education. If a debtor begins a repayment plan but is unable to complete it as the result of unforeseen circumstances such as a job loss or illness, he may qualify for a hardship discharge of his debt. The hardship discharge allows a debtor to stop making court-ordered payments early but still receive a discharge of unpaid debts as if the repayment plan had been completed. To qualify, the debtor’s inability to complete payments must be from circumstances beyond the debtor's control. If the repayment plan can be adjusted to address the problem, or if unsecured creditors have not received at least as much as they'd have received if the debtor had filed Chapter 7 bankruptcy, the court cannot grant a hardship discharge. Bankruptcy Law Network: What Is a Hardship Discharge? 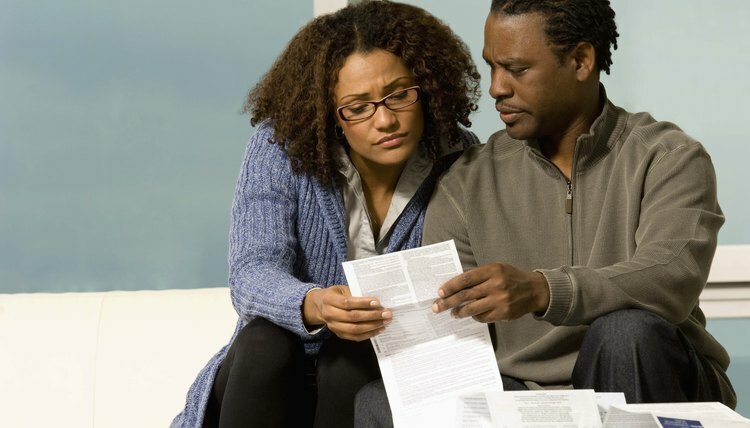 If your debts have become unmanageable, you have the option to file for bankruptcy protection. Under Chapter 7 of the federal bankruptcy code, you must submit a petition in bankruptcy court. You must notify the court of creditors to whom you owe money, and list your assets on the petition. A trustee takes control of your assets, which can be liquidated (sold) to pay secured debts. During this process, you are temporarily protected from creditor lawsuits. Chapter 7 bankruptcy is designed to allow individuals to obtain relief from their debts and make a fresh start through a discharge of their debts. However, a Chapter 7 discharge does not always allow debtors to completely eliminate their financial obligations. Instead, any assets that the debtor has that cannot be protected by exemption are sold, with the proceeds going to repay creditors ordered by a priority system designed to allow them to receive as much repayment as possible before a discharge is granted.